Photo taken in Taquile Island, Puno, Perú. Date: Feb, 23rd. 2012. Weather conditions: cloudy. We were all having fun!, the music, the colors, the people. It was really a party. It was amazing. Taquile Island is a magic and beautiful land. One thing that was pretty interesting is that women and men communicate their social and love status by their clothes!. Photo taken with a Nikon D90. 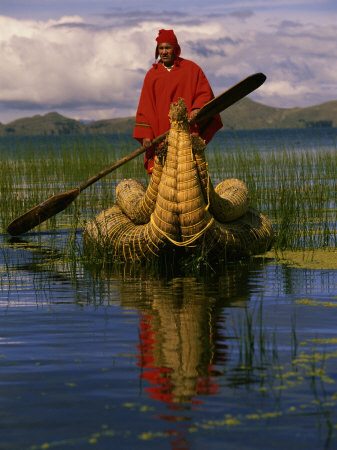 Details: This special photo is in the March Inside-Peru Photo Contest. Even if the contest for a certain month is closed, your vote will count towards the Photo of the Year, announced in March of the following year. This lavishly illustrated book provides a state-of-the-art description and explanation of the great cultures that inhabited this land... an indispensable guide for any visitor who has an interest in archaeology, history and culture. It is likewise an excellent introduction for the interested reader who yearns to know more about this fascinating place. Imagine being an entrancing island. Now picture that island afloat on the azure ocean...finally think of that ocean being at the exhilirating altitude of 3,811 m (12,500 ft) above sea level!